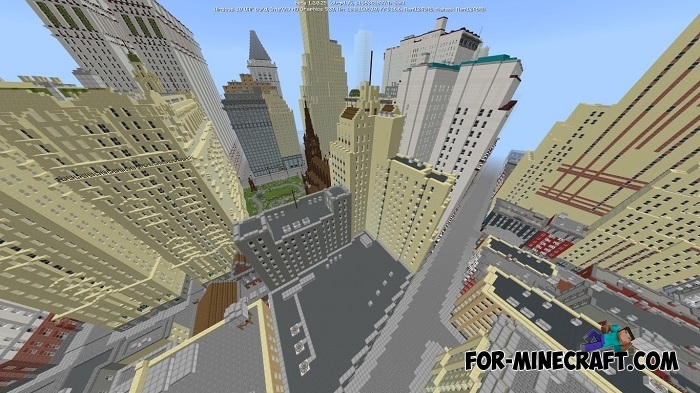 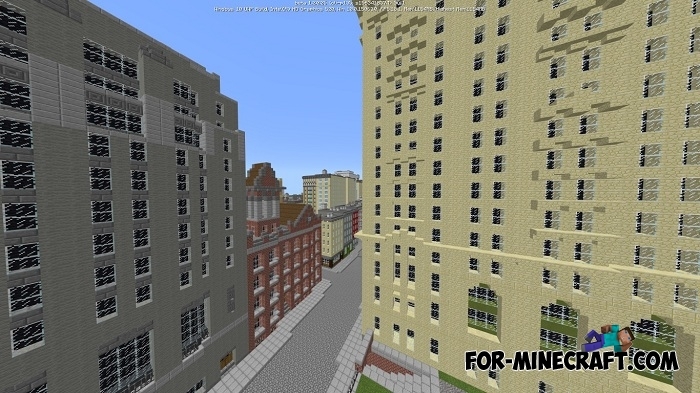 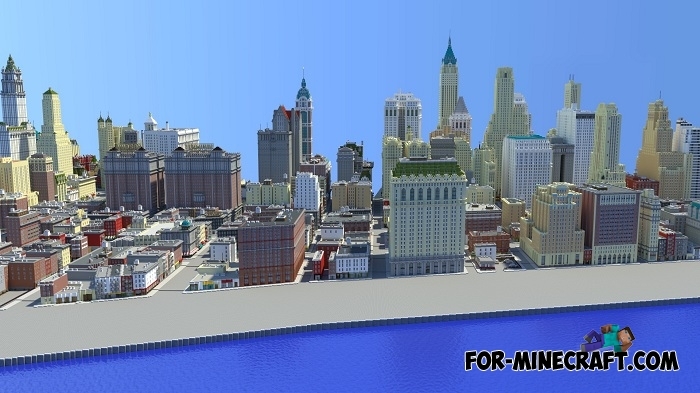 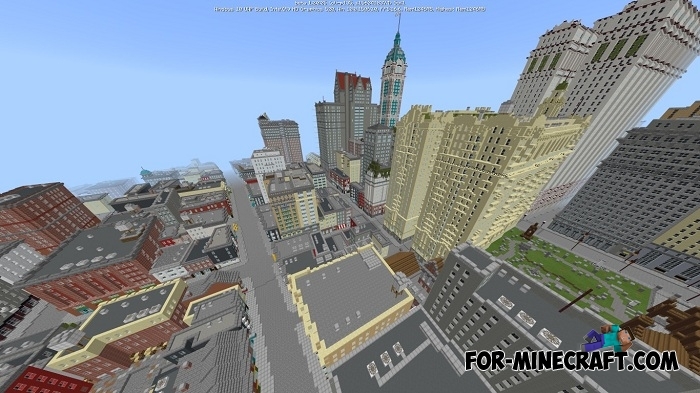 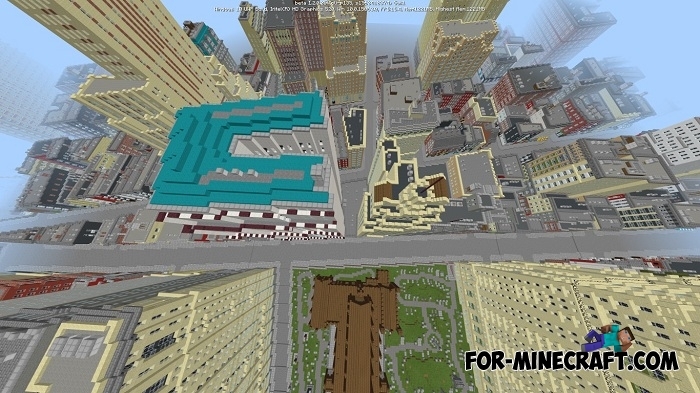 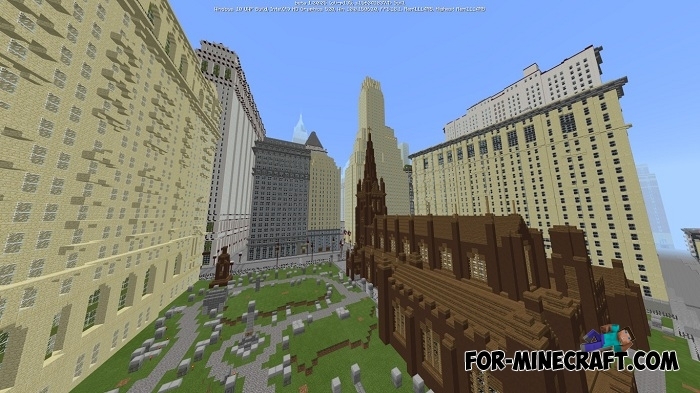 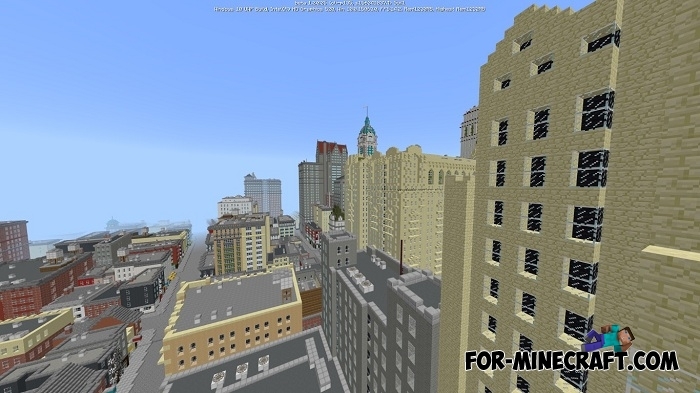 I present you a ported version of New York, but it is not at all the one that everyone is used to seeing. 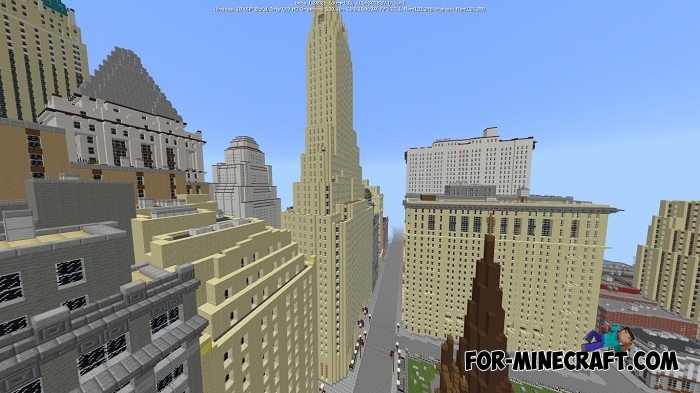 Now 1936, this is the time when skyscrapers only started to grow and increase and builders put all their skills and efforts to erect such structures. 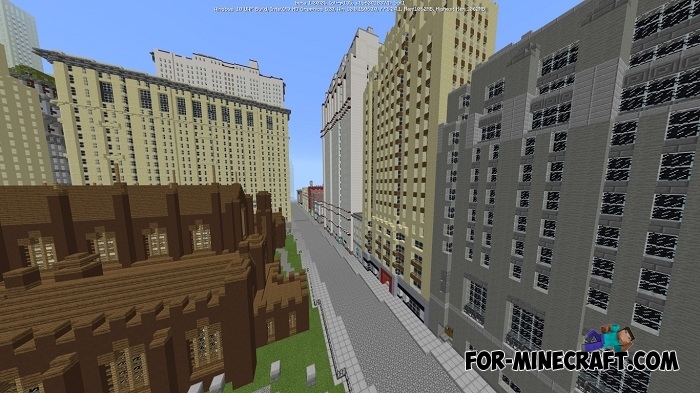 Designers of the time worked out a strict and at the same time very nice looking project of the city. 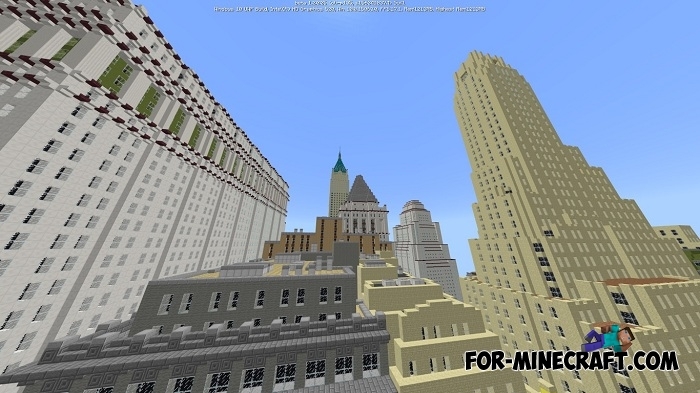 The buildings perfectly complement each other and according to the plan most skyscrapers are concentrated in one part of NYC. 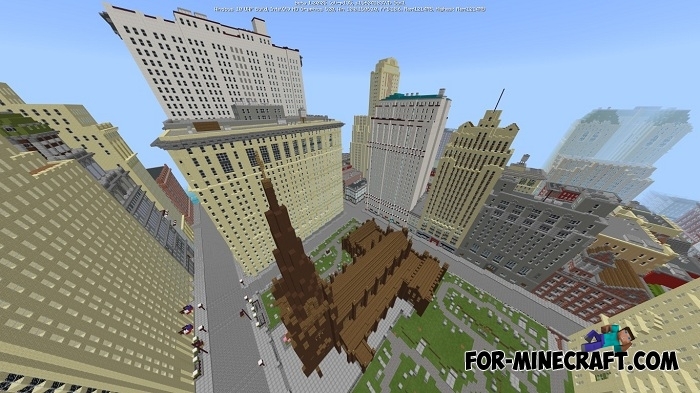 Take an aircraft, for example the Airship addon and fly over the city from a bird's eye view. 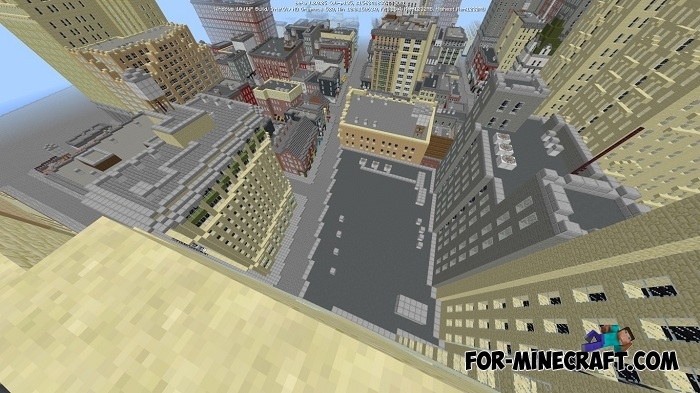 The map is in development for a long time for which it will increase greatly. 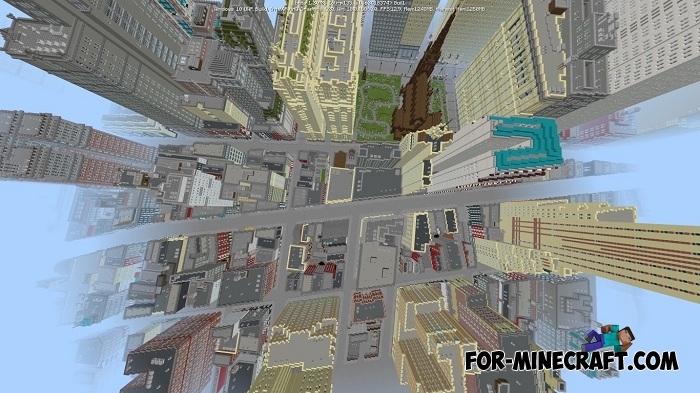 U can play Minecraft PE 1.1.7 or 1.2, both versions do not conflict with the map.